Banks’ progress of reducing interest rate to 17-19 percent per annum remained in a snail pace in the first week of September, according to financial experts. 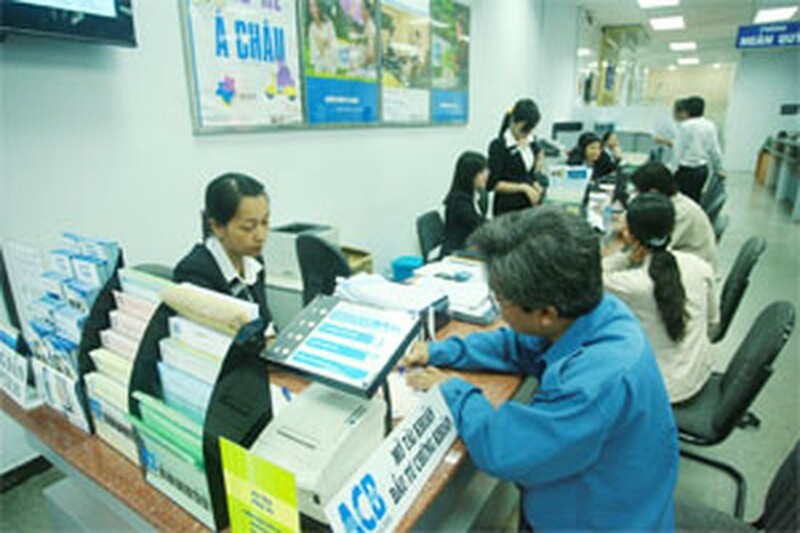 The State Bank of Vietnam on Wednesday released an instruction asking commercial banks to respect the 14 percent ceiling interest rate and warning that it will strictly punish violating lenders. Many banks have offered interest rates on negotiation basis, which can harm the banking system, the state bank said. All commercial banks have to publicly announce their deposit rates, according to a central bank statement. The rates, including perks and bonuses, are not allowed to exceed 14 percent, the central bank said. Banks breaking the cap will be fined or have certain activities suspended, the statement said. Pham Linh, deputy general director of the Orient Commercial Joint-Stock Bank, said the rate on dong deposits can be steadily at 14 percent per annum thanks to the central bank’s strict measures. “Commercial banks will likely to suffer losses in the next three months if the rate on dong loans remains at 17-19 percent per annum,” said Nguyen Hung, general director of VP Bank. Many financial experts said that the state bank should stabilize the interbank rate before cool the high lending rate. Interbank interest rate has unexpectedly jumped up recently, with one-week rate soaring to 17.5 percent per annum, one-month climbing to 19 percent per annum and three-month rising to 21 percent per annum. The increasing interbank rate show that many lenders’ liquidity remains low, with small-cap banks struggling to borrow from the open market operation, said a deputy general director of a Ho Chi Minh City-based bank. According to an official source of Dau Tu Tai Chinh Newspaper, the state bank will likely to pump VND15 trillion (US$714 million) into 10 small banks, which have low liquidity. Yet, small lenders will have to use their assets as security for the bailout or the state bank will use that amount to buy shares in the banks. The central will also likely to issue bonds to raise funds from lenders with high liquidity to refinance others. Phan Thanh Hai, official from GiaDinh Bank, said lenders with many available rooms from credit expansion hesitate to boost their lending growth since they worry about bad debts. “Bad debt rate can move up on the fact that enterprises are still in difficult times this year,” Hai told Dau Tu Tai Chinh Newspaper.